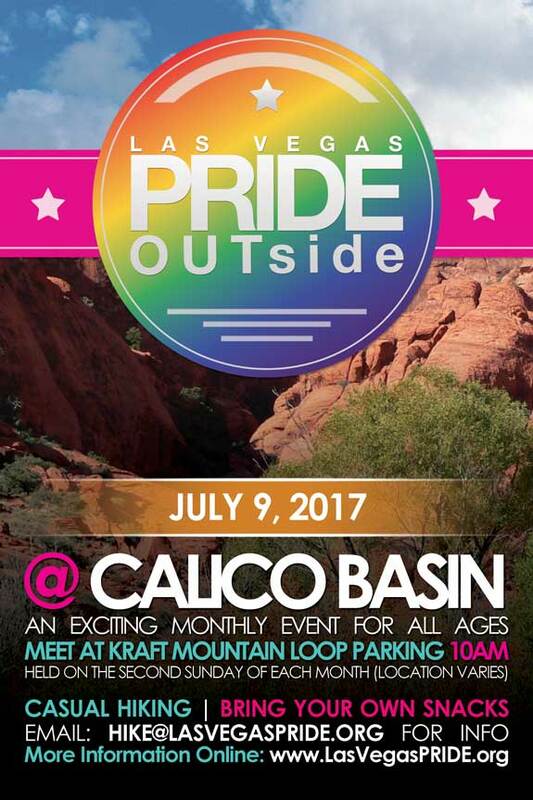 Las Vegas PRIDE is excited to present this monthly event for all ages! 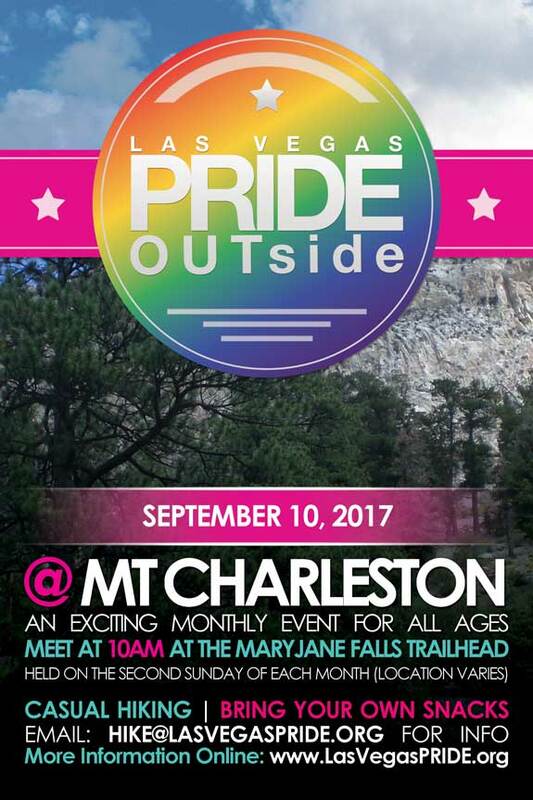 With PRIDE OUTside, we invite you to join us each month as we meet in the great outdoors for fun activities. 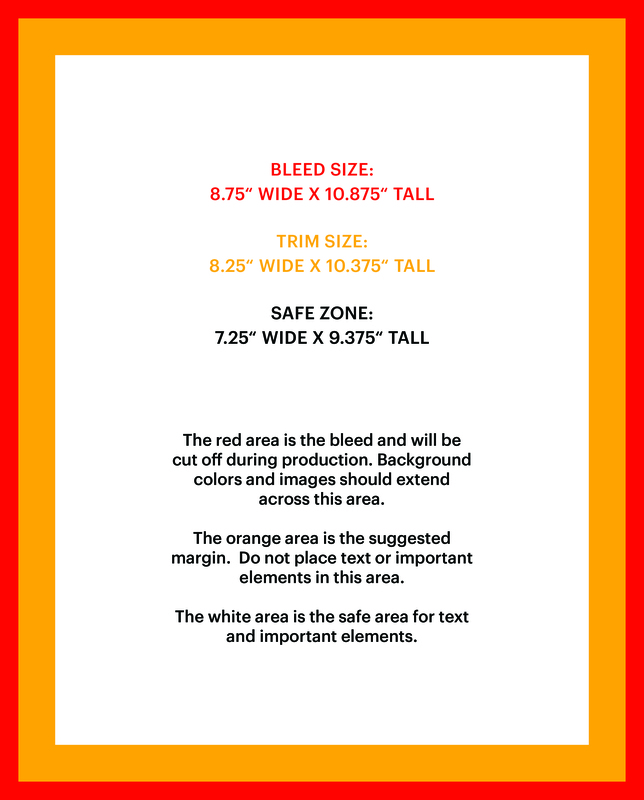 Make sure to plan to arrive at the trailhead before 10:15 AM as we will depart on our adventure at that time. 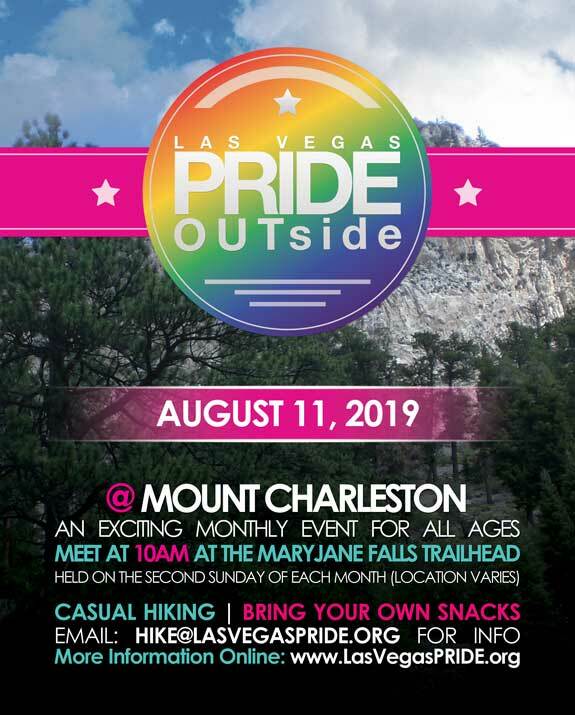 For directions and additional information about this and other PRIDE OUTside hikes, please visit the PRIDE OUTside Event Page.